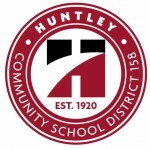 Huntley Community School District 158 currently is in negotiations with its teacher union, the Huntley Education Association over a new employment contract. The current contract expired on June 30, 2015. Through the collective bargaining process, the District and the union strive to come to agreement on contract particulars including salary scales, benefits, job duties, and more. Please explore this page for the latest information on the status of negotiations. Read about the District’s point-of-view for approaching the negotiations.